You don’t want to be the last person to find out about a great sale, the best pizza in town, or the “kick me” sign some prankster taped to your back. You know as well as I do that those things aren’t going to impact your life very much, but here’s the deal, a cyber attack could ruin your business. That IS life altering — and not in a good way. That’s why the LA Networks team stays on top of the latest in cybersecurity threat analysis and do our part in conveying the latest and most urgent information to businesses like yours across Southern California. On February 21, 2018, Cisco – a leader in the war against global cyber threats – released their 2018 Annual Cybersecurity Report. This is the eleventh year that Cisco has researched, created, and delivered this valuable resource to the public. Download your free copy of the report from LA Networks by CLICKING HERE. 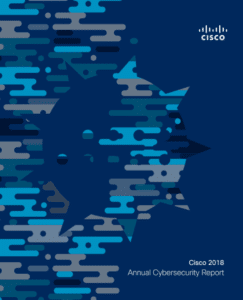 What is the Cisco 2018 Annual Cybersecurity Report? The playing field of cybersecurity is always changing. Each year brings new dangers and upgrades of existing exploits used by criminals to steal money, reputation, and data from businesses across Southern California. The annual Cybersecurity Report that Cisco produces takes a deep dive into the avenues that cybercriminals are using to do damage and take data that they can then resell on the dark web. On top of their current threat analysis, Cisco’s report describes how criminal syndicates involved in cybercrime are getting around network defenses and how they are travelling through networks without being spotted. Of course, Cisco doesn’t leave us without answers. For each cybersecurity issue that the report outlines, Cisco provides recommendations that will help businesses like yours use Cisco technology to combat these threats and defend their internal processes and data. What’s New In The Cisco 2018 Report? This year’s report shows us that 2018 is a year of unparalleled danger and opportunity. On the one hand, cybercriminals are leveraging increasingly sophisticated software and tactics against business IT infrastructure. On the other hand, companies are being led by visionaries who are bringing in machine learning, automation, and artificial intelligence to combat the dangers posed by cyber threats. The forward-thinking shown by the leaders of these companies is inspiring. While most companies do not need physical robots in the office to automate tasks and build efficiencies into their systems, there is a need to have these elements in our virtual IT security environment to protect us against the speed and equally sophisticated technology that is leveraged by cybercriminals. Along with using automation, machine learning, and AI to combat cybercrime, companies throughout Southern California are utilizing the skill sets of companies like LA Networks to harness the power of these functionalities for their internal workflow. 34% of companies worldwide depend on machine learning in their processes. 39% of companies worldwide depend on automation within their IT environment. 32% of companies worldwide depend on AI to enhance overall efficiency. What About Encryption In 2018? We all know what encryption is supposed to do for us. It’s supposed to keep people from reading our data while it’s travelling from one place to another across the internet. And most of the time, it works. But with a higher level of encrypted web traffic in 2017 – up 50% over the previous year – another problem has emerged. Higher levels of encrypted traffic have made it more difficult to spot the bad guys trying to gain unauthorized access to networks. In fact, Cisco reports that encryption of malware has tripled in the past year. What Good Is Machine Learning In Cybersecurity? Machine learning means just what it says – machines that learn. Over time, software can see abnormalities and patterns that are out of the norm. 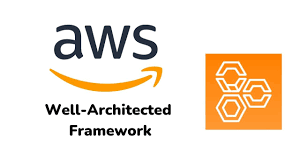 By learning what “normal” is for a business, Cisco hardware and software can detect what is out of the norm or “suspicious” and either deny it access altogether or send an alert for manual inspection of the data packet. How Does Cisco Make The Annual Cybersecurity Report? To get to the conclusions included in the report, Cisco consults with more than 3,600 IT security specialists. These individuals, such as the IT professionals of LA Networks, work on the front lines of cybersecurity each day and keep their eye on the threat horizon. What was John Stuart trying to tell the business owner in Southern California? The really bad news is the negative financial impact of global cybercrime. The 2018 Annual Cybersecurity Report indicates that greater than 50% of all cyber attacks cost the affected company more than half a million dollars per incident. The good news is that the LA Networks team in conjunction with Cisco is leading the effort to protect businesses in Southern California. We have taken a serious look at Cisco’s report and find that it lines up with the trends that we are seeing in businesses each day. But assessment is nothing without action. The LA Networks staff of IT security professionals have taken the unprecedented step of ensuring that our audience is aware of and has access to this important annual report. For our clients, we implement those suggestions in the report that are relevant to their IT environment and ensure that each client’s security posture is maintained, managed, and monitored. We’d like to make the Cisco 2018 Annual Cybersecurity Report available to you! You can download your free copy by clicking HERE.